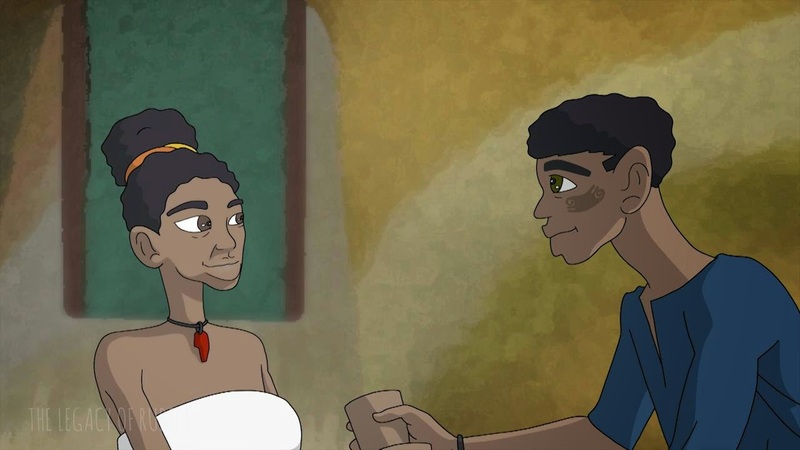 Ebele Okoye announces the completion of her 23-minute animation film, The Legacy of Rubies, the first of Shrinkfish’s scheduled productions based on African legends or set in African environments. Ebele Okoye grew up in southeastern Nigeria where, like many African filmmakers, oral storytelling was the collective experience of the society. She yearned to share these stories, recounted around the fire, under the moonlight, and it was through the medium of animation filmmaking that she fulfilled that dream. Because of the dearth of film schools in Nigeria at that time, she went to Germany to study 2D Cartoon Animation at the International Film School Cologne. After graduation, she worked as studio animator and director/producer of her own short films. For The Legacy of Rubies project she partnered with the Nigerian animation production studio Shrinkfish Ltd, the producers of the film. Mfalme is a young forest boy whose life suddenly turns upside down as he is kidnapped and brought to a strange kingdom with the claim that he is the blood son of the dying king Obankosi.